Whether you're in the market for a rental property, retirement / vacation home, or simply want to live here year round - like many of us! 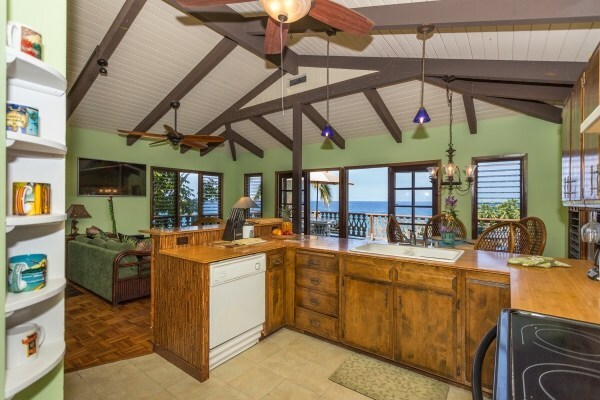 - Kailua-Kona offers you this versatile lifestyle, and I am here to show you a home that makes it easy to enjoy everything, right from this stunning oceanfront property. With high vaulted, open wood-beam ceilings throughout, you will keep cool on those balmy summer nights. 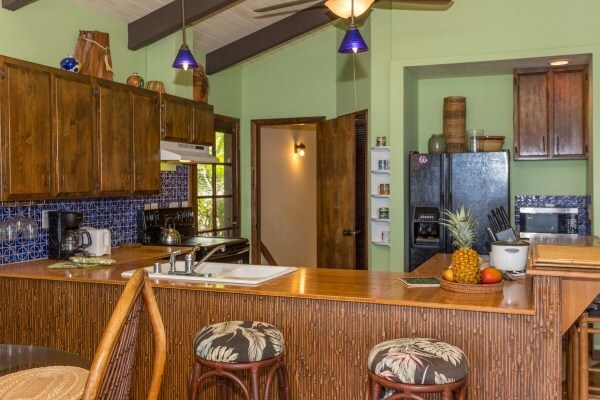 This well-preserved, vintage, plantation-style home highlights natural wood and offers you the open concept ability to indulge in the tropical surroundings. In case you don't know me, I have a fond appreciation for these properties and their location. I frequent this area on a daily basis, and truly enjoy finding the perfect pair, buyer + home, to share in the spectacular grace and joy that this location has to offer. 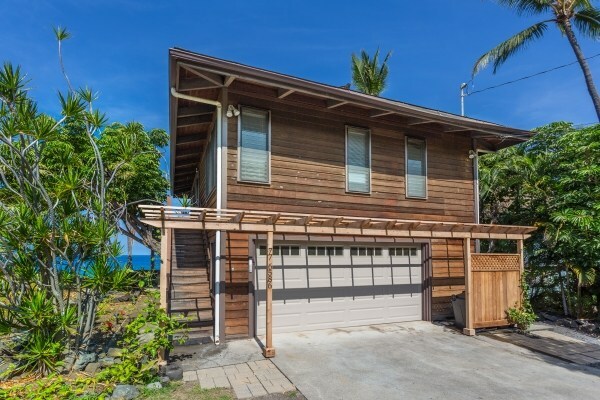 This 2 bed, 3 bath home is located on Alii Drive in Laaloa 1st, Kapalaalaea 2nd subdivision. 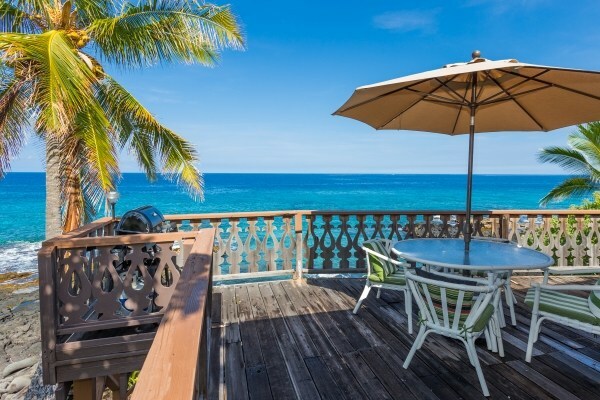 It's a beautiful beachfront setting with panoramic views of a small bay, which is a natural home to many tropical fish. 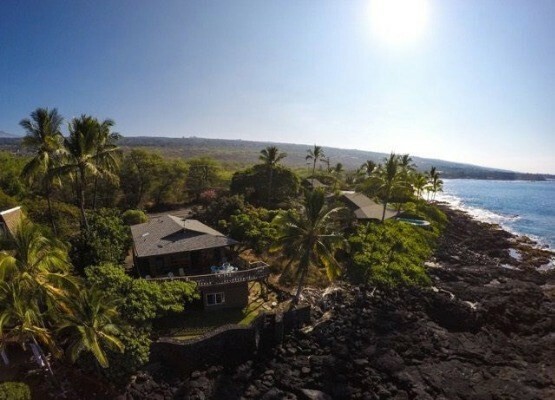 From the private lanai you can view them through the crystal clear blue ocean. 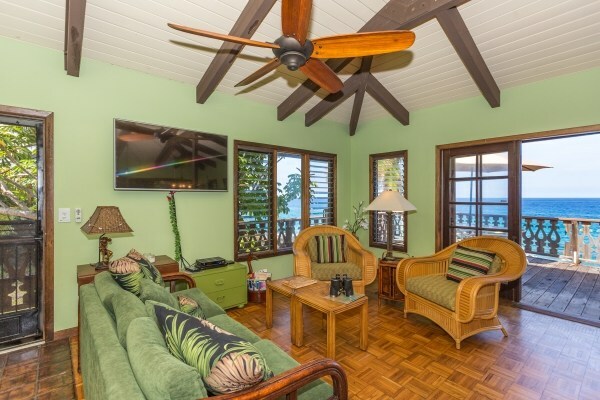 This plantation cottage style home is sold furnished, and as a vacation rental with some bookings in place. The inviting chef's kitchen is spacious and elegant with an open concept. Drop down lighting from the high beams allows for the ultimate entertaining experience. Large windows and doors invite the warm sea breezes in year round. The master bedroom and en suite, with a lovely Furo Japanese soaking tub, are delightful. The dark accent subway tiles tie the dark open beams together - blending the dark woods with clean whites and highlighting the home's bright natural light. 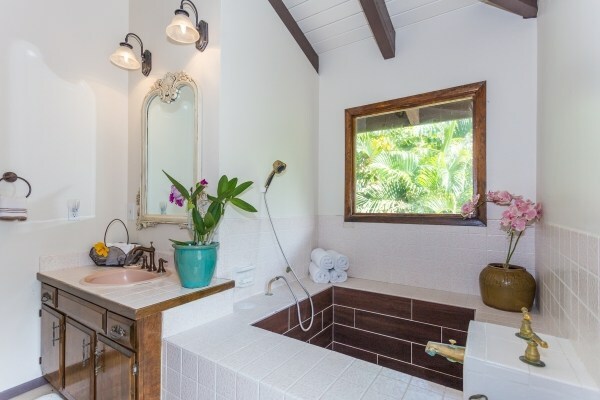 Literally soak in the views from your tub through a window showcasing paradise. And conveniently, a nicely appointed second full bath is right off the kitchen hallway. Feel all of the elements of relaxation in your spacious great room, offering views on all sides. 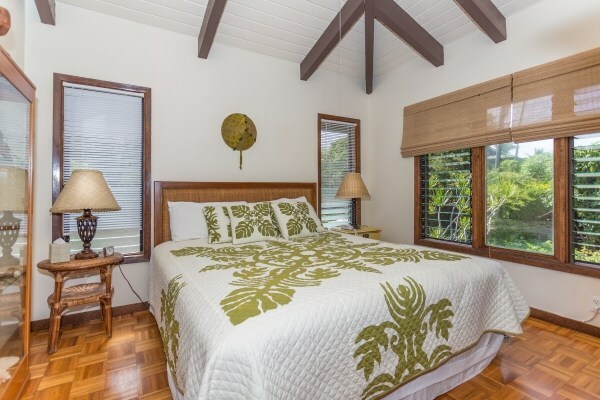 It opens to the tropical Pacific by French doors to your charming wooden lanai with breathtaking westerly ocean views, including both northern and southerly jutting shorelines as well. A perfect place to relax to sounds of the ocean and palm trees rustling in the gentle trade winds. Park securely in a two-car garage, with an inner stairwell up to the main living area, as well as exterior stairways on both north and south entries. A second bedroom on the ground level is a separate apartment with its own bathroom and entrance - handy for visitors or a caretaker. 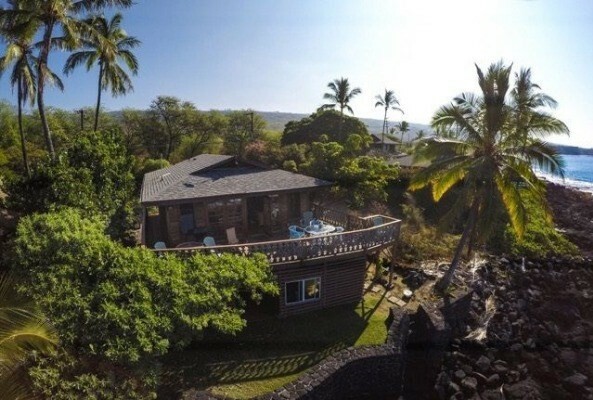 For more information about this property or other Big Island real estate, please contact me.